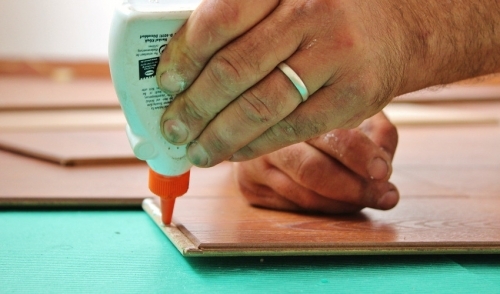 Wood glue is great for staying in place for a long time, but it can also be used on a "temporary" basis as well. If you are looking to permanently secure two pieces of wood together with bolts or screws, you can put a dap of wood glue on to help you keep the pieces together while you have both hands free. If you plan on ever taking the pieces of wood apart, you might want to reconsider this option. Snap! Oops, you probably didn’t want to snap that piece of wood in half. Wood glue is extremely effective at putting wooden fixtures back together. The best part is that when it dries and hardens, you will be able to sand any extra glue making it look like it barely ever happened. Wood glue really excels when putting small pieces of wood together. The most obvious use of that is when putting together crafts. Wood glue will give you a clean look with a lot of staying power for whatever woodworking project you are trying to complete.